All products list availability and/or lead time on the product page under the price. "Made to order" products will show the expected lead time in the product description, or as a product option with the option to upgrade to "expedite". Products showing "In stock" will ship within 24 hours after payment is received. We strive to ship same day when possible. Shipping prices are real-time carrier calculated. You only pay the exact shipping cost. Add to your cart for quick shipping estimates. All shipping costs include shipping, insurance, and packaging/handling fees to ensure that your furniture arrives safely to it's destination. Shipping Included Products: On products that the shipping is included in price, we will use the best method available for transit. This will be USPS, FedEx, or UPS. This is only available in the continental U.S.
International Customers: Add your order to your cart and go to the shipping calculator at the bottom of the cart page. Enter your information for a quote. Smaller orders may be eligible to ship USPS. Larger orders will ship either DHL, FedEx, or UPS. Desks and larger products will ship international freight. Please contact us for a quote. I would like to ship using my own shipping account or method. Not a problem. Apply coupon code "ThirdPartyShip" and shipping charges will be removed from your order. A note will be added that you will be providing your own shipping. Please provide us with the shipping method and/or account number in the special instructions on the checkout page. We will contact you if we have questions or need more information. White Glove Services. We offer deluxe shipping services to your address that include: scheduled delivery, two-man carry into the room of your choice, unpacking and debris removal. Please email us for a quote. Any orders valued over $500 will require a signature upon delivery. We prefer to ship large orders via freight. If you think your order may be better shipped via LTL freight, please contact us. If you are ordering a complete desk, contact us to see if freight may be a better shipping option. All products will ship using dimensional weight as opposed to actual weight. This is based on new rules set forth by common carriers as of January 2015. Orders will be shipped through the carrier you select. You will receive a tracking number once a shipping label has been created for your order. 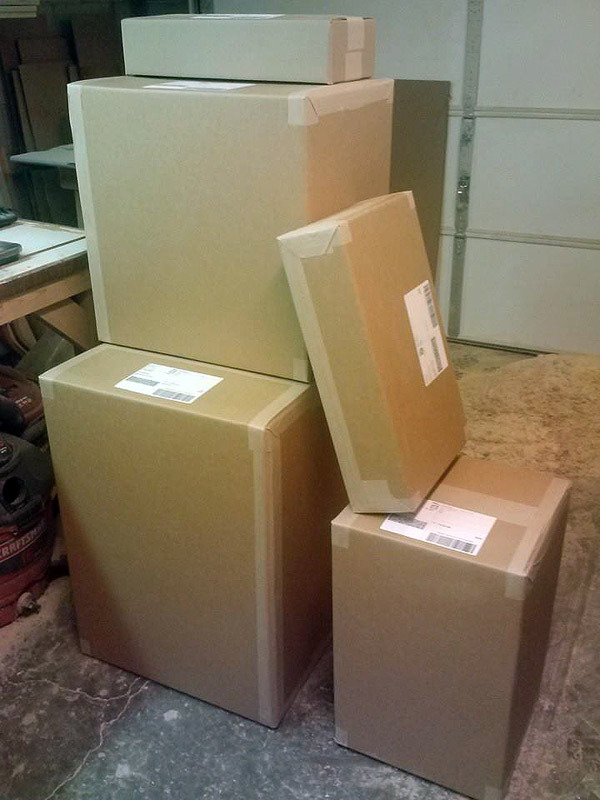 We custom build our boxes to size to minimize shipping charges. Most products are double boxed and padded to ensure a safe travel to your doorstep. Shipping rates are per item for transport costs only. AudioRax is not responsible for any state or federal tax (except Idaho state), customs, duties or other government fees that may apply to the shipment.